AlaHadrat Imam Ahmad Rida radi allahu anhu’s entire life was adorned with meticulous following of the Shari’ah and Sunnah of the Prophet SallAllaho Alaihi wa Sallam and his taqwa had reached an elevated level. I shall present some incidents from his life that show that he not only had taqwa but had also attained the rank of wara’a [Abandoning a part of the permissible for fear of falling into the impermissible]. In accordance to the verse, No men can be its guardians except the pious, he was a perfect muttaqi [Pious and Godfearing] and a gnostic. The hot weather in Bareilly will not allow me to fast but the weather in mountainous regions is cooler. Nainital is not far from here and I can fast in the mountains of Bhowali [83 miles north of Bareilly]. And I am able to go there; hence, it is obligatory for me to do so. He spent the whole of Ramadan there and fasted the whole of Ramadan. What is the duration of the time of Maghrib? Question: What is the ruling of the Ulama-e-Deen in the following case: Zaid says that the time of Maghrib is very short and it is for this reason that short Surahs are recited in Maghrib and after the two sunnats and nafil of Maghrib, the time of Maghrib either expires or only five or six minutes remain. Amar says that it is mustahab (desirable) to read short Surahs and to read Maghrib in its earliest time. He further says that the time of Maghrib is until the redness remains in the sky. Actually he says that there is approximately half an hour that one has (for Maghrib). I would thus like to humbly query concerning the correct ruling regarding how long Maghrib lasts for and when it expires? I would also like clarification regarding the statements of Zaid and Amar. I would also like to query the ruling if a person reads Maghrib at the time when there is the whiteness in the sky which appears after the redness. Is it permissible to read at this time or not? Until what time is one allowed reading Maghrib without any uncertainty? The Answer: The statement of Zaid is completely incorrect. He has just made this up from his own thinking. It is for this reason that he is himself in doubt, because he first said that there is no time left and then he says that there are five to six minutes left (for Maghrib to end) and to use one’s own idea in such religious issues, is totally haraam. In reality, the time of Maghrib remains until the whiteness in the sky has set. This whiteness refers to the whiteness on the western side of the sky which stretches breadth wise towards the northerly and southerly direction, like the whiteness in the morning. The whiteness after this, which does not stretch breadth wise northerly or southerly, but moves vertically towards the sky, like the whiteness of Subh Kaazib is not regarded as the correct whiteness. After the setting of the sun, until the whiteness in the sky that spreads breadth wise sets. In our areas, this remains for at least one hour eighteen minutes. The maximum time that it remains for is one hour thirty five minutes. The time varies between one hour eighteen and one hour thirty five minutes. On some days, the whiteness remains for one hour eighteen minutes whilst on other days it remains for one hour nineteen minutes or one hour twenty minutes, until the whiteness sets at one hour thirty five minutes. 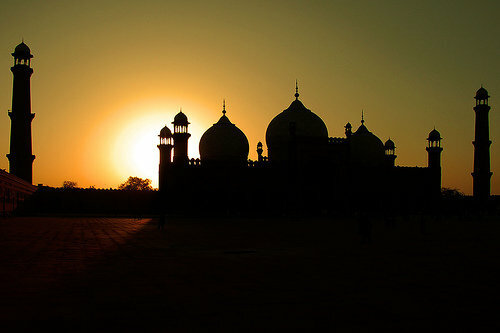 It is however better to read Maghrib Namaaz as soon as possible and it is Makrooh-e-Tanzeehi, in others words, contrary to what is better, to delay without reason, the Namaaz of Maghrib, for the amount of time that is usually required to read two Rakaats Namaaz (just as it has been mentioned in Durr Mukhtar). To delay maghrib so much that lots of stars begin to appear in the sky, is Makrooh-e-Tahreemi, just as been mentioned in Durr Mukhtar. والله تعالى اعلم Ahkaam E Shariat part 2 – by Alahazrat. The personality of AALA HAZRAT Imam Ahmad Raza Radi Allahu anhu needs no introduction. Today his glory is echoing in the entire world. Besides Ulama,. Madaris & religious groups, Scholars, universities & modern circles are also attentive to him. Till now many scholars from the Universities of India, Pakistan & U.S.A. etc have done PhD on him & still the research work on him is continuing in Indian Universities & abroad. 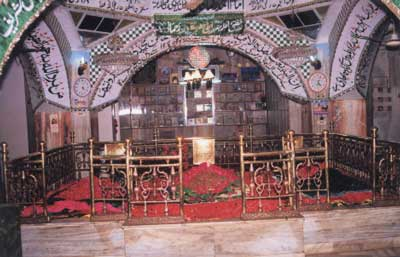 Imam Ahmad Raza Radi Allahu anhu was the reviver of 14th Islamic century. He was the person of world importance. In 400 years world history such an amazing Alim & Scholar and versatile genius is not found as Imam Ahmad Raza Radi Allahu anhu was. He is of course ‘Aalahazrat’ i.e. the great threshold. He was greater than all Ulama & saints of his period as he was the reviver of his century & so he was called “AALAHAZRAT” He is the man of the century. • The first and foremost factor of Imān is respect for the RasūlAllāh şallAllāhu álayhi wa âlihi wa sahbihī wa sallam. • Imān is to accept every word of Sayyidunā RasūlAllāh şallAllāhu álayhi wa âlihi wa sahbihī wa sallam as absolute and nothing else but the truth and to testify wholeheartedly to the reality and truth of Sayyidunā RasūlAllāh şallAllāhu álayhi wa âlihi wa sahbihī wa sallam. • May that faithless person’s mouth burn who ever says that the Prophet’s clothes are dirty! If Allah Almighty gives him the tawfīq to have the right etiquettes why does he not say ‘the dust has taken refuge in the Prophet’s şallAllāhu álayhi wa âlihi wa sahbihī wa sallam clothes/cloak’? All praise is to Allah, the Lord Of The Creation. The Most Gracious, the Most Merciful. Owner of the Day of Recompense. Who blessed us being the Ummah of His Beloved Rasool Sallallaho Alaihi wa Sallam. Who sanctified our hearts with the Love and Affection towards His Beloved Rasool Sallallaho Alaihi wa Sallam. Who blessed us the with the most precious treasure of Iman (Faith). Countless Salutations, Peace and Blessings be upon the Cream of the Creation… Mercy for all Worlds… Seal of the Prophets Sayyiduna wa Mawlana MuHammadur Rasoolullah Sallallaho Alaihi wa Sallam, His Blessed Parents, His entire Family, His Progeny, His Companions and His Followers!! Verily Allah will send at the beginning of every century such a person for this Ummah who will rejuvenate and restore their religion (Deen).